“A million parts, flying in tight formation,” is how BusinessWeek(Feb.17-23, 2014) describes the debugging of Airbus’ latest new plane, the A350. The European company desperately wants to avoid the kinds of problems that have plagued rival Boeing’s 787 Dreamliner. After several production fiascoes, the 787 endured further problems when its lithium-ion battery packs burst into flame. 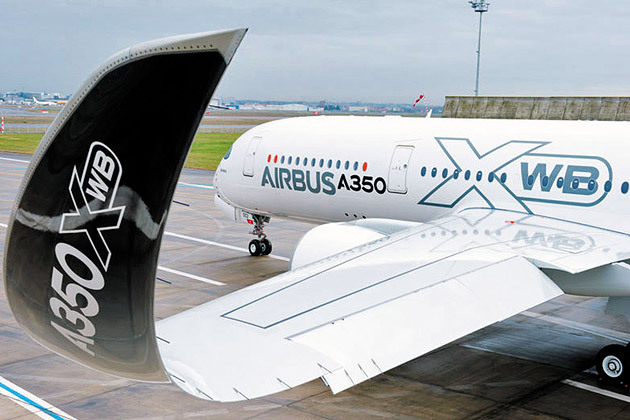 For the A350 to be economically viable, says Airbus, “the airlines need an operational reliability above 99 percent.” That means that no more than one flight out of every 100 is delayed by more than 15 minutes because of technical reasons. To ferret out the flaws in an airplane, Airbus technicians have come to depend on sophisticated computer systems. These, too, can introduce problems. Like the A350, the A380 superjumbo was designed entirely on computers, but engineers working in the company’s German and French operations hadn’t used the same versions of the design software. When assembly line workers started installing bundles of wires, they discovered that the German software had miscalculated the amount of wiring needed for the fuselage, which had been designed on French software. Miles of wiring turned out to be too short and had to be torn out from half-completed airframes and replaced. In 2011 and 2012, cracks were found within the A380’s wings, prompting authorities to order the entire fleet to undergo detailed inspection of the structural integrity of the plane. To minimize the chances of that occurring in the A350, Airbus is putting the airframe sections through more than 80,000 simulated takeoff and landing cycles.